Both Baby Luna Photography and Parallel Summit Creations offer the highest quality of prints, albums, and wall art to clients. Our goal, for every session, is to give you a unique piece of art that is timeless and beautiful. The products we have chosen to offer will allow you to pass on your memories to your daughter’s fiancé or see your grandchildren look at photos of their dad when he was their age. 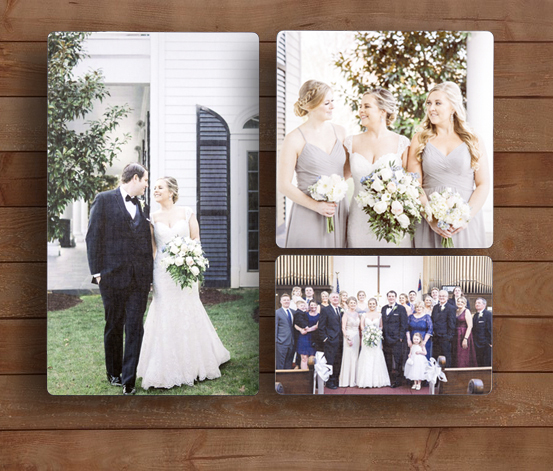 These albums are truly handmade and intentionally designed to give you a family heirloom. Preserve your right now, for when memories are fading and your family wants to see how your love story began. Created with at least 10 archival quality prints, matted and hand bound in Nashville, Tennessee. Using archival quality prints from Musea Lab, framed prints are delivered ready to hang on clients walls. Think of hanging your favorite image over your mantle in the living room. The frames and prints are created to last multiple generations with attention to detail on each material that makes the frame. Musea Labs creates prints with unmatched quality. The technique and attention to detail make these prints a no brainer for our clients. Along with our satisfaction guarantee, Musea Lab offers a lifetime warranty for fading and yellowing of prints. Each product in this category of products is handmade and created in Pennsylvania. There are various products offered by Burnt Rose Studios that we can customize to your exact style. See all products by visiting Burnt Rose Studios. Standard Canvas options available with 1.5” wood backing. Canvas is archival and acid-free so your clients will be able to pass each canvas down to their grandchildren. Canvas are delivered ready to hang with beehive hangers and wall bumpers. Non-Traditional Canvases available from Burnt Rose Studio product line as well.